The answer to that question for me was a resounding “NO.” I was living someone else’s life and it didn’t fit very well. Had my ladder up the wrong building so to speak. a bit. Gardening was something I had always wanted to do but wasn’t sure how to do it and didn’t have time for it anyway. A serious exercise program was something I needed to engage in but wasn’t very motivated or disciplined. The test was very eye-opening and I promptly cancelled plans made primarily to please someone else’s passion. 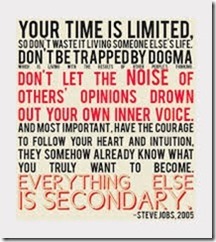 I resigned from two boards of directors for programs which no longer interested me. All this freed me up to explore those things that actually made my heart sing. It had nothing to do with politics, a field I worked in for more than 15 years and hated every minute of it. I was delighted to uncover five passions which I plan to focus on for the rest of my life. 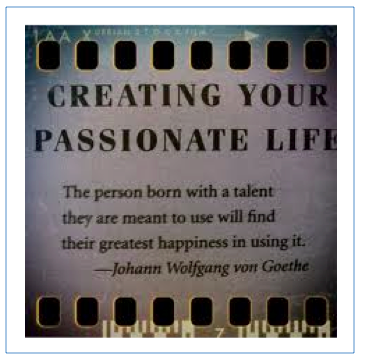 If you, like me, find yourself directionless and in need of a mental and emotional tune-up, I encourage you to take the passion test assessment.. It’s free and you may answer seven questions and receive feedback at www.thepassiontest.com. Click on “start” and the short quiz will pop up. It’s very eye opening and could change the course of your life. 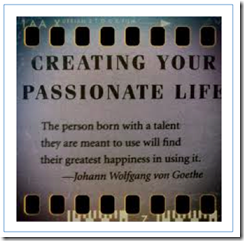 This entry was posted in Coping with retirement, Health and well-being and tagged Find your passion, passion test, What makes your soul sing by Emily Jones. Bookmark the permalink.